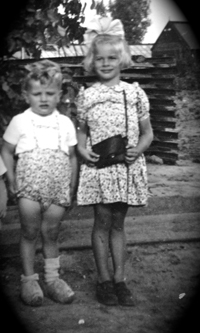 Pernis, The Netherlands approx 1948 - Dirk and his sister Linda. Check out Dirk�s wooden shoes. He was so proud to have shoes just like his Dad. Seed: That from which anything springs; origin; source. When you're a landscaping expert and a third generation Dutch seedsman, it just seems natural that you'd operate a company like Florabunda Seeds. Although Florabunda Seeds celebrates its 20th anniversary in 2019, you could say its "seeds" were planted well over 100 years ago in Holland. Owner Dirk Berghout's grandfather (also named Dirk) established a successful seed supply company in Pernis, The Netherlands. When Grandfather Berghout died, the company was taken over by his son, also named Dirk. 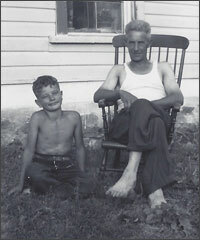 Dirk Sr. was a farmer and market gardener who emigrated to Canada in 1953 when the Dutch government expropriated his land to enlarge the harbour in Pernis. While Dirk Sr. and his oldest son Leen had their eyes on Australia and Canada, the latter was chosen because of its shorter travelling distance. The family of five settled in Odessa, Ontario. Although their dreams of having a farm in Canada were never realized, Dirk Sr. and Leen spent several years working for other farmers, as was the requirement in those days for new immigrant farmers. Both eventually moved into the construction trade but established a successful side business with Dirk Jr., operating greenhouses and vegetable gardens for 15 years for the wholesale market. Following in his ancestral footsteps, Dirk Jr. purchased Florabunda Seeds with his late wife Jeri-Lynne in 1998. Together, they grew the company into a significant international supplier of heirloom seeds. Florabunda Seeds have been planted in gardens around the world including China, Russia and the Fiji Islands: an encouraging sign of a global interest in preserving old species of flowers and vegetables. During a trip to Holland in 2000, Dirk and Jeri-Lynne were given a treasured item: a ledger from Grandfather Berghout's seed company. 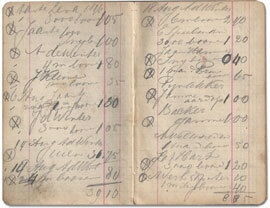 The ledger dates back to 1896, giving detailed records of customer names, dates, amounts of each sale, running totals on each customer, along with the purchased seed types. All is written by hand in pencil, and of course, in Dutch. The well worn and yellowed pages hold a great part of history to both Dirk and his family, as well as Holland. It is a great family treasure to cherish and preserve for handing down to Dirk's son Jon. 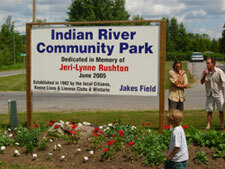 After Jeri-Lynne's passing in 2003, daughter Kate stepped in to help with the day-to-day running of the business. Today, Dirk runs the business with his wife Leanne. Leanne's business and organizational skills help to ensure that Florabunda Seeds continues to deliver high quality product and excellent customer service. Leanne has also been expanding the Fundraisers and Special Events areas of the business. Dirk and Leanne are passionate about continuing the long family tradition of helping people grow beautiful things from tiny seeds. "When you step back and think about it, it truly is an amazing thing that one tiny seed will grow to become a breath-taking vision that will delight you day after day all season long."